The Klickitat river is yet another great fishery out of the Columbia river estuary. 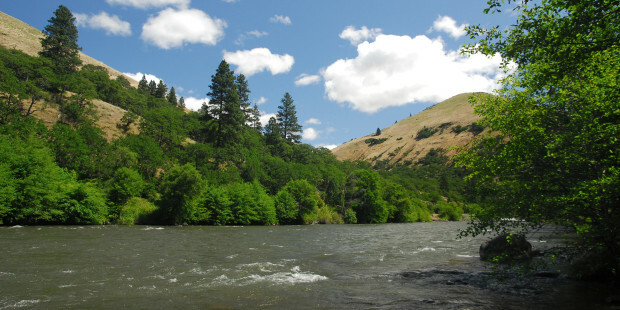 If salmon and steelhead are your business, then on the Klickitat river business will be good. The Klickitat not only offers several species of lunkers, but high bag limits as well. With runs of summer steelhead and summer and fall Chinook as well as Fall Coho. Most years salmon are taken at the mouth due to salmon fishing closures in the main stem. Steelhead fishing is however open throughout the entire river system with liberal bag limits of three hatchery stelhead per day. Salmon and steelhead seasons generally run from April to January. This fishery generally allows 6 salmon per day with 2- 3 adult fish allowed depending on the time and 2 hatchery steelhead per day.